This week's five horses to follow at the weekend are dedicated to five high-class performers on the flat, as we get back in the mood and prepare for a change of scenery, with the new flat season officially commencing this Saturday with the Lincoln Handicap. Last year's winner of the Lincoln - Addeybb is entered at the same meeting in the Listed Unibet Doncaster Mile Stakes this time around. The now five-year-old looked a horse to follow after his victory at Town Moor twelve months ago, but after his win in the Group Two bet365 Mile at Sandown, his season mysteriously dwindled out, after failing to stake a claim in the Lockinge. He ended last year with a good third at Lingfield, signifying the ability is still present. Hopefully he can begin this campaign as he did the last, as he does have a touch of class about him. Matterhorn will look to regain the advantage in the 'Winning Most Horse' Championships on the All-weather, with a seventh victory on the artificial surface in the Listed Magnolia Stakes at Kempton on Saturday. The four-year-old has been in sensational form for Mark Johnston and owner Sheikh Hamdan in the last six months, sharing top spot in the charts with Executive Force after six wins - a horse he beat last time out, with Lion Hearted one worse off on five. Despite appearing late on the scene, he is rated 112 and ever-growing, and is expected to line up on Finals Day at Lingfield over Easter. Can roll on yet again. Switching over to Dubai for World Cup night, Blue Point looks the horse to beat in the Group One Al Quoz Sprint. Last year's winner of the King Stand Stakes at Royal Ascot is in magnificent form of late, after a short layoff over the Autumn approaching winter. Two trips to Meydan have resulted in two victories - firstly sharing the love on Valentines Day in the Group Two Meydan Sprint to brush away the cobwebs, before an even better performance in a Group Three on the same form. 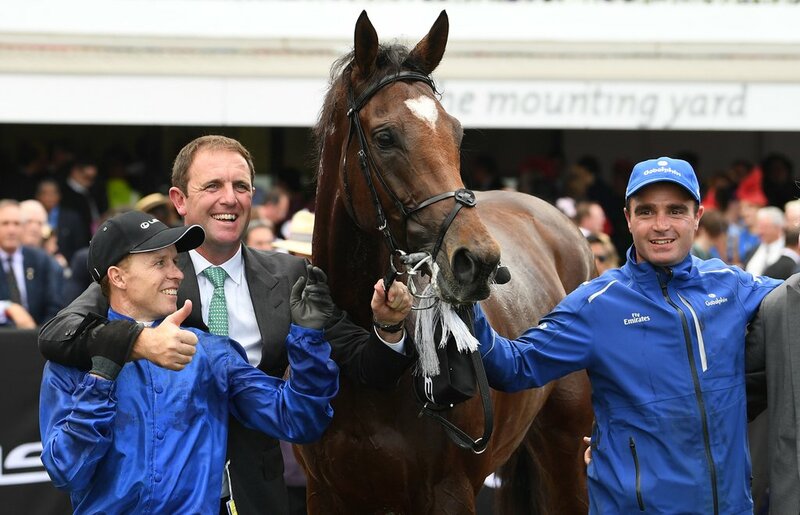 Looks better than ever, and a leading player for World Cup success for trainer Charlie Appleby. Horse's four and five both are racing in the same contest - the Group One Dubai Turf, and have been pinpointed for different reasons. Firstly, Almond Eye - many of whom consider this filly to be one of the best around at the minute, will make the journey from Japan for trainer Sakae Kuneida. She has won on her last six starts - including four between 1m-1m4f in Group Ones, and most recently the illustrious Japan Cup. Good to see the Japanese campaigning their horses away from the Far-East, and if prevailing here, could be a big threat to Enable's third Arc bid in October. Dream Castle always held plenty of raw ability, but we have certainly seen the best of it this season, having won three straight group races here this year. Fifth in the Guineas back in 2017, his form took a bit of a dip until his racing commitments were turned internationally. He led home a Godolphin 1-2-3-4-5 on his first start of the year - three days into the New Year and after a nine month layoff, before going onto land the Jebel Hatta G1 latest, beating the heavily-fancied Wootton. Seems to have now matured a great deal and grown into his expected scope. Can run a big race, and looks a big chance for Saeed Bin Surror, but every chance he may bump into one here.